Woman holding sign that reads "Enemies of labor unions are enemies of progress. JFK" . capitol in the background. 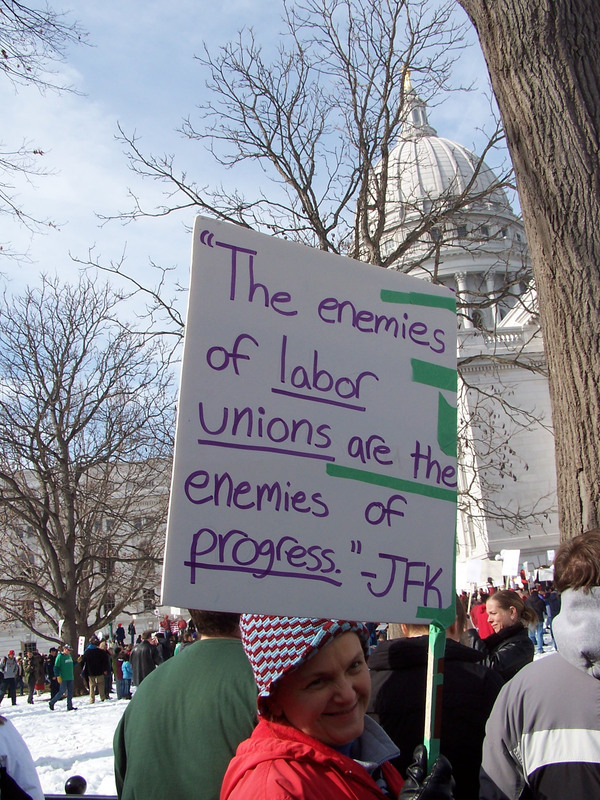 Thompson, Anne F., “Enemies of labor unions are enemies of progress,” Wisconsin Uprising Archive, accessed April 21, 2019, http://wisconsinuprisingarchive.org/items/show/90.